Our New Coconut Soy blend Wax is odorless, burns cleaner and burns longer. 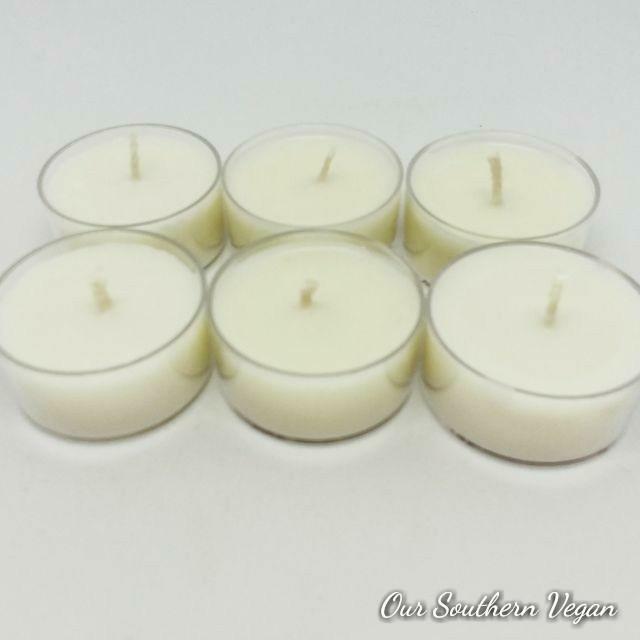 Our Vegan Tea Lights are Phthalate Free Fragrance Oils, Free of Dyes, Cotton Wick, and come in natural white only. • Made in small batches to ensure quality every time. • Scent added and come in white only.